Sitting here at my dining room table writing to Lisa C. from the U.K Here letters are so pretty and descriptive, she has a nice writing style and uses such pretty paper. I found these cute stickers at the Dollar Tree just the other day. Now I have to use them up on some of my envelope I do the next few weeks. 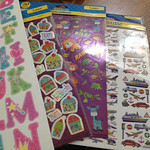 Found some really nice seal and mail letter pads at Hastings. They were in the clearance section, so I bought the two they had left. 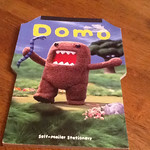 I had not heard of Domo but it seems like many of my fellow pen friends have. Mail going to a friend in Canada today. Update: shortly after I mailed this letter, this pal sent me a message that she no longer wanted to pal because she felt no connection. I was great with that the only part I did not agree with was she blocked me on facebook after that. That I didn’t understand but I do wish her much joy in any of her future pen friend adventures she may go on. Best of luck my dear past friend V’Anstey. 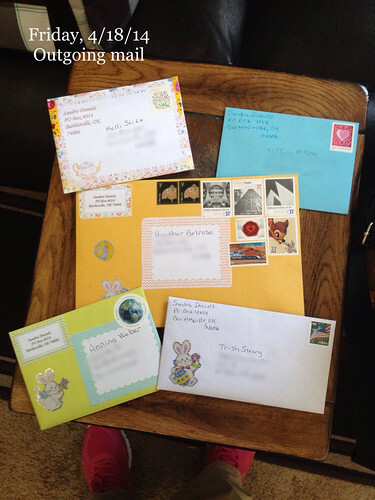 Outgoing mail to several friends today. The writing letters world is a bit confusing at times, let me explain. I love to write and I do it everyday except on some Saturday’s and Sunday’s. 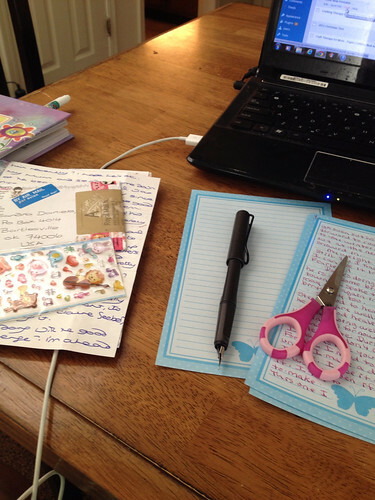 I have a good number of pen friends that I love and enjoy writing to all of them. Now my dilemma comes when I have been writing to a pal for a good 24 months back and forth, nice long letters and they suddenly stop. I do check that the letter didn’t go missing so that is not the problem, would be nice if it were that easy. 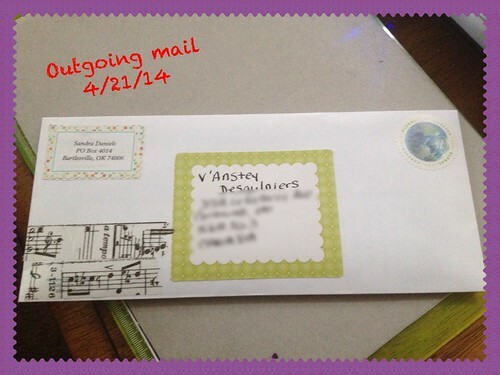 I contact the friend via Facebook and they reply nice enough, that a letter is on it’s way. I wait and wait and the weeks go by and no letter, now I am completely puzzled. I come to the conclusion that I have been dropped and yet it would have been nice for the person to admit, hey our friendship has just run it’s course and I am moving on. No such courtesy for me. A new trend is the one where the pen friend will write for a year or so and say sorry I don’t feel the connection so I am dropping you as a pal. Hmmm and you notice that now after 12 months or more of writing to me. I think that one knows if a connection is there after perhaps 2 letters into the friendship, so yeah this is a pretty lame excuse if you ask me. Hey listen it’s so easy to just be truthful, especially on paper when you don’t have to face the person’s expressions or things of that nature. It would be so much better if as adults we could be more upfront with someone we called our friend for that amount of time. Anyways that is the end of my soap box I will get off now. Till next time my friend.